"Fabulous! So much fun. 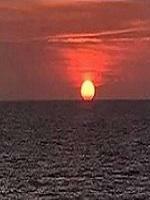 The ocean waters and sunsets were incredible. Jamaica Mystic Mountain was beautiful! " 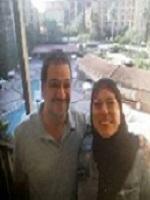 "The travel agency was amazing and very punctual with getting back to me. I made a lot of changes but they were right there to assist me. Great prices and benefits using this company!" 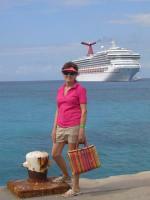 "I worked with the travel agency and the process was so much easier than I expected! I gave them the city and the days we would like to be there, and they found us EXACTLY what we were wanting within minutes! Doing all of that research and booking on my own would have taken days. Couldn't have done it without them! " "Travel agent was a complete pleasure to work with! Would highly recommend this company. Great customer service!" 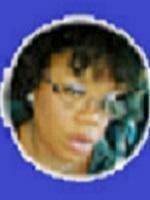 "My travel agent was very professional and patient. They helped us come up with a solution to satisfy our needs! " "I booked with a travel voucher and the agent helped me in every step, even when I needed to change my flight details. They were very responsive and kind. I'll be using them again in the future. " "Our agent was very helpful, polite and did an amazing job! They gave us so many options to choose from and helped us book our anniversary trip. Would highly recommend them again!" "Very easy to work with, and they responded quickly to any questions I had. They also had other suggestions and ideas for our trip!" "Travel agency gave me 100% complete satisfaction with helping me plan my trip. We talked on the phone several times and they always answered my calls. They were a pleasure to work with and very friendly, kind and professional. Thank you, you're the best!!" "Travel department was amazing! They were quick to answer my questions and just as excited to book my first trip to Las Vegas! Kudos to them! " 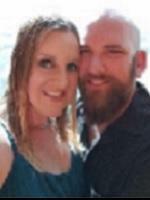 "My wife and I just recently booked our vacation and the travel agent was great. I just told them what we wanted and the agent put everything together for us. The agent made everything so easy and stress free for us. " "I received a voucher for our honeymoon. I was quite impressed with our service! Our agent was very kind, patient and quite knowledgeable. It was amazing to have someone helping us book our vacation. They helped verify what we would receive with our voucher and booked the flight; hotel and the car. Our agent was in contact with us in each step to ensure were getting exactly what we wanted. They even contacted me after the trip was all set to let us know they were able to get us free breakfast each of the days! Our experience was amazing. Thank you for making our honeymoon perfect! San Diego was also amazing! Can’t wait to go back!" "We had a great time!!! Las Vegas was amazing. 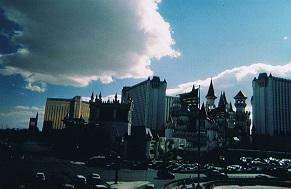 The hotel Excalibur was perfect. We saw the group Metallica at T-Mobile arena. It was perfect cause the hotel was across the street. 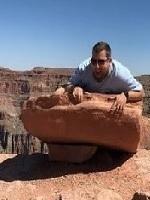 We also went to the Grand Canyon which was also a lifelong dream. We are very happy with all we saw and experienced. It was the perfect Honeymoon!!!" "We’re here! Enjoying our Pre-Thanksgiving in Vegas. " "New Orleans was wonderful! Everything went smooth. The flight, the hotel check-in, in the middle of all the fun! My husband and I waited a full year for a honeymoon. It was worth it!" "Our vacation was great! Florida weather was perfect. We had a wonderful stay at the resort and a great time at Seaworld and Epcot center. " 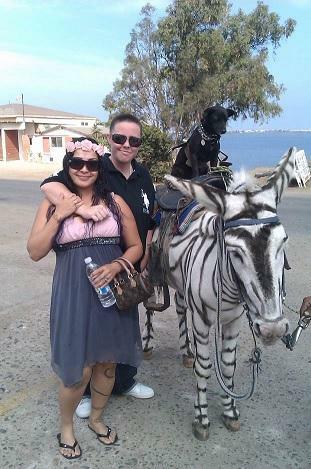 "It was an amazing honeymoon! Our trip was enjoyable and relaxing. This was our first time flying together, first time going to Florida, and our first time renting a car. " "It was amazing. Our honeymoon was just what we wanted. Our hotel was on the beach. The city was and weather was great. We will definitely be returning soon! " "We went to Las Vegas & had a great time! Our hotel was the Luxor. The Luxor has good food, fun gambling, and conveniently located." "We went to Las Vegas and had a blast!! We stayed at Excalibur and went to a couple shows, went on a couple tours and ate some wonderful food!" 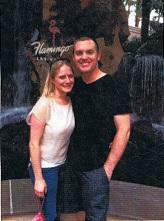 "We had a fantastic time in Las Vegas. The Flamingo’s resorts and casino was great! You made our trip possible by taking care of all our travel arrangements it was very easy. Thank you for the great service!" 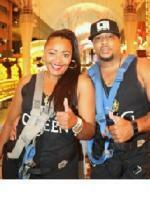 "We had a blast on our FIRST EVER trip to Vegas!! 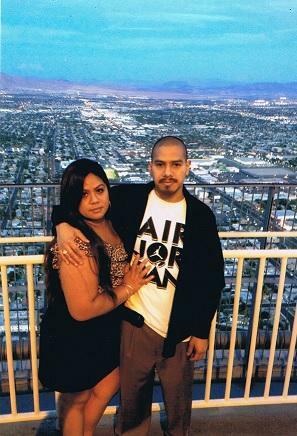 This was our first trip as a married couple and our first trip ever to Vegas! 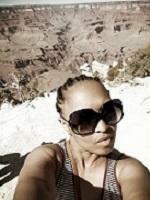 We also explored the Grand Canyon and the Hoover Dam while we were there. What a beautiful sight to see! We knocked off several things from our bucket list!! " "New Orleans was awesome! My husband and I had a great time! We can't wait to travel there again! Thank you so much!" 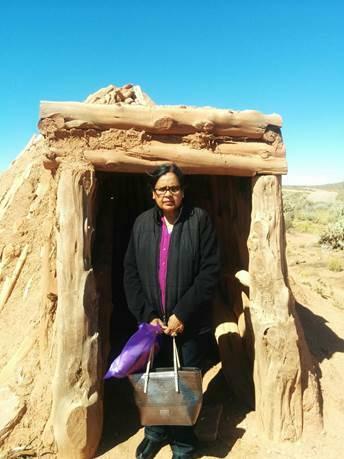 "We had a wonderful time on our trip to Arizona. Ramun, our Odenza rep was great at communicating with us and keeping us informed of information for our trip. This is our second time using Odenza to book travel and we will defiantly be using them again. " 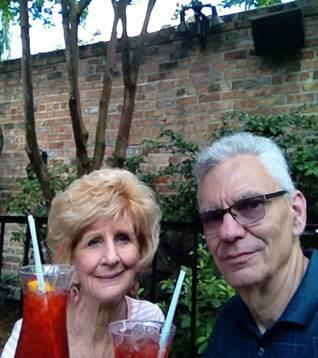 "This was I and my husband's first trip to New Orleans,Louisiana. We planned this trip to celebrate our 1-year anniversary and my 30th birthday. This trip was amazing the city is beautiful the food is delicious and the music to your ears is amazing. We enjoyed going to Historic areas such as Jackson Square, Riverwall on the Mississippi River, and walking on Bourbon Street. It was fun riding on the street cars and walking through the city. Everything is so close to each other. We enjoyed this trip, and it was worth everything and we will be returning back to New Orleans soon. " 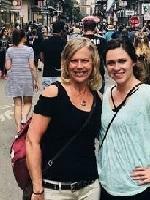 "My daughter and I had such a wonderful experience in New Orleans!! Our time spent in the French Quarter exceeded any and all expectations that we had! It was our first trip there and we would definitely go back again! Hannah did an amazing job helping us plan this trip. We loved staying at Le Richelieu Hotel. We totally enjoyed the Cajun Country Tour and Ghost Walking Tour that Hannah booked for us. We loved the culture, food, history, and architecture in the French Quarter. New Orleans holds a special place in our hearts!" 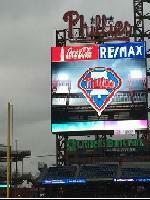 "What a great Philadelphia experience! The Liberty Bell and Independence Hall led off our day followed by an original Philly Cheesesteak at Jim’s and then ending the day watching the Phillies beat the Braves." "Trip was great. Even though the weather didn’t cooperate the entire time, we stayed in a great hotel so being inside was comfortable and enjoyable. The food was what took it over the top and made it an absolutely great vacation! " "Vacation in the Caribbean!! Loved it!!" 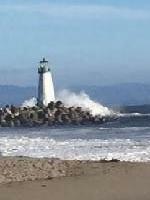 "Our vacation to the California coast was amazing. We went south one day, hung out at our hotel the second day, and then north the last full day. We saw some amazing scenery and visited some fabulous places. We thoroughly enjoyed it!" 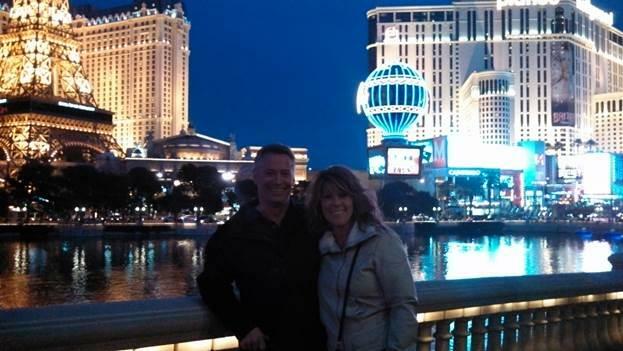 "First time in Vegas and it was awesome, so much to see and so much to do, we couldn't fit it all in. Not much sleep so now we need a vacation from the vacation!" "I would like to thank our agent for being there with me every step of the way with all the follow-up calls to make this vacation to Washington a winner....and it was! So, I took my husband with me. 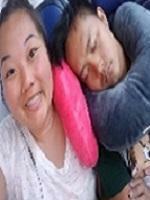 Our flight was on time and everything went smoothly." "We had the time of our lives enjoying one another in New Jersey and in New York City, and just visiting all the beautiful sites they have to offer. We also got to ride the subway for the first time. We had a ball.....love it!" "I enjoyed my time in Vegas. This is the first time I got to appreciate the sights and people ( and of course the good food). I particularly enjoyed the High Roller at LINQ Hotel. Got to see Vegas sights late afternoon up to early evening...wonderful!" "Grace was a "saving grace.' She followed up and helped me book the vacation and air fare. Grace was positive and did everything she promised to do. " 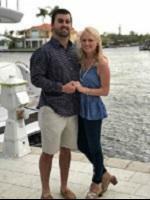 "Matthew was able to put together our flight schedule. He was very patient with us and diligent in working out all the changes I was requesting. Thank you, Matt. " "Our vacation was great!!!! We stayed at the Bellagio. And we had a lot of fun. We do not have any pictures as everyone else took them. We celebrated our grandson's 21st birthday. " "My wife and I just came back from New Orleans last week. 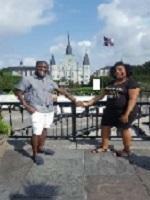 We had a great time, our hotel was great - we stayed at the Wyndham French Quarter, weather was great, not crowded & cleaner than we expected. There was great food, best breakfast - Willa Jean, best brunch - Commander’s Palace, Dinner – anywhere in the Quarter. Best Jazz – Frenchman’s Street - Spotted Cat and Bamboula’s (no cover 1 drink min.). 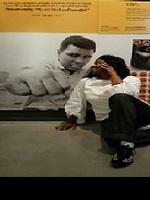 Must See – Mardi Gras World & WWII Museum (takes about 4 hours to do it right). Best mode of transportation – Walking & Street Cars – be sure to get a day pass (only $3 per person). Best Hurricane – Pat Obrien’s & Lafitte’s Blacksmith Bar. We never felt threatened, always felt safe & everyone was friendly. This was our first time and we will definitely go again. " "We had an amazing time celebrating our 1st wedding anniversary. Customer Service was great. They were very prompt in answering our questions and getting back to us when necessary. What a memorable experience!" "Thank you for the wonderful trip to Fort Lauderdale/Hollywood, FL. We had a great time visiting family and catching up. The Comfort Inn near the airport was a convenient location for access to the beach and attractions. Thank you, Fun Rewards For You, for a great program!" "I used this trip to go to LA so that my mom can meet my fiancee and my in-laws. We all became together only because I was able to afford this trip with my vacation voucher. I would highly recommend to utilize this kind of vacations/opportunities fully. We all as a family enjoyed a lot. Also, I was able to spend some quality time with my fiancee." "It was AHHH-MAZING!! Went to Miami, Cozumel, Roatan, Grand Cayman, and Ft Lauderdale. This was truly the vacation I have been dreaming of my entire life!" "Hi! This is a picture of my darling taken in Falls Church last weekend! We had a great time. Thank you! " "We enjoyed the accommodations and the property is very nice. We would stay there again. " 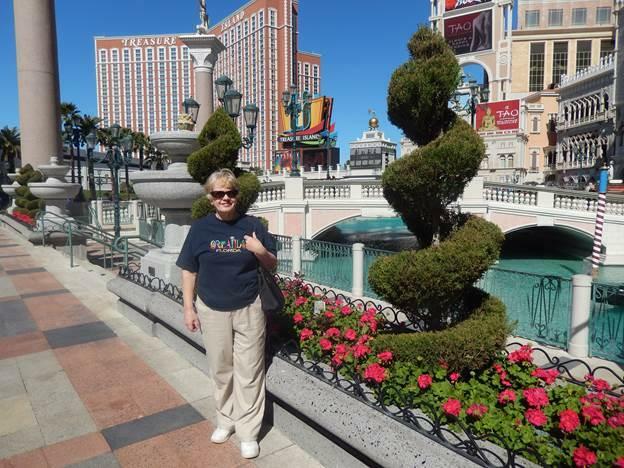 "My Las Vegas tour was excellent & memorable. I really enjoyed it. Thank you for your help!" "My vacation was excellent! 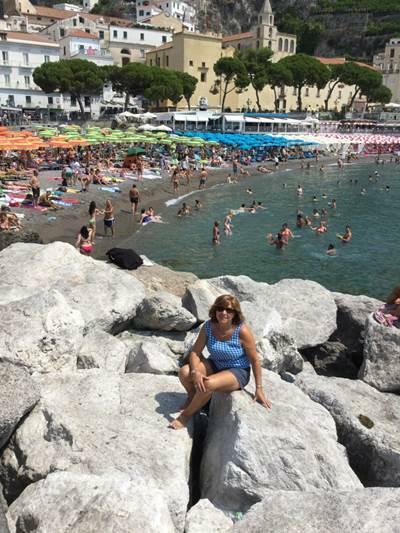 We started in Milano, and visited the Duomo Cathedral; then we went to Lako Como, and then proceeded to Sorrento; Amalfi; Positano; Bari and ended in the Abbruzzi area. Wonderful people, weather, great food and great wine!" "I am extremely happy with my service, everything worked out perfect. 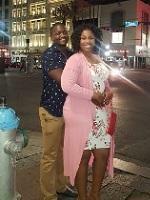 My wife and I had a great time in Las Vegas. The hotel we stayed at was very nice and clean. I would go there again. Thank you for everything." "My vacation was excellent. 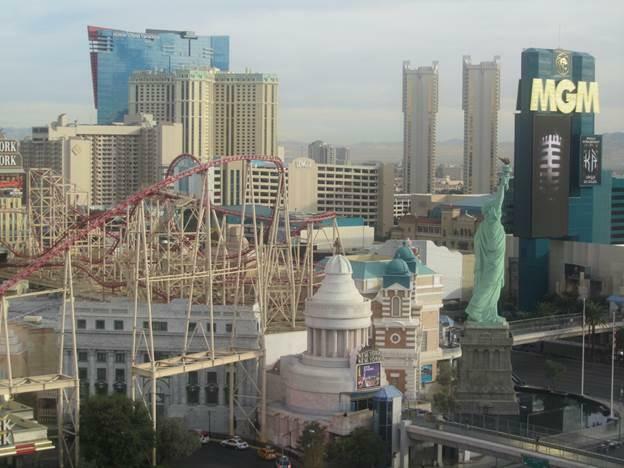 The photo I have enclosed is the view I saw from my lovely room when I enjoyed Las Vegas with a friend last November! The weather was perfect. The entertainment options were outstanding!" 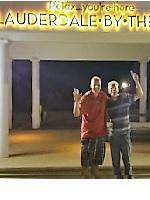 "Our stay in Branson,MO was extremely enjoyable. The rooms were not fancy, but they were clean. The daily breakfast had much variety and included both hot and cold options. The staff was very helpful and went out of their way to accommodate their guest. " "I enjoyed my three night stay at the property in Myrtle Beach. I upgraded my room to ocean front for a nominal fee and really enjoyed the view. " "The Redemption Center staff was kind and professional. They made our vacation special....Thanks." "I enjoyed my stay at the property in Ormond Beach, FL. I had a lovely large room which had modern furnishings and was as exceptionally clean as the hotel itself. The accommodations included free breakfast with a lovely selection. The hotel was in a convenient location, close to the attractions, close to the I-95 and only 5 miles from the beach. " 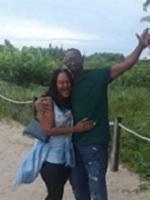 "Our vacation was very exciting and rewarding. We were celebrating with our son who flew in from Japan to defend his Thesis as the final step in completing his Doctorate in Educational Technologies. 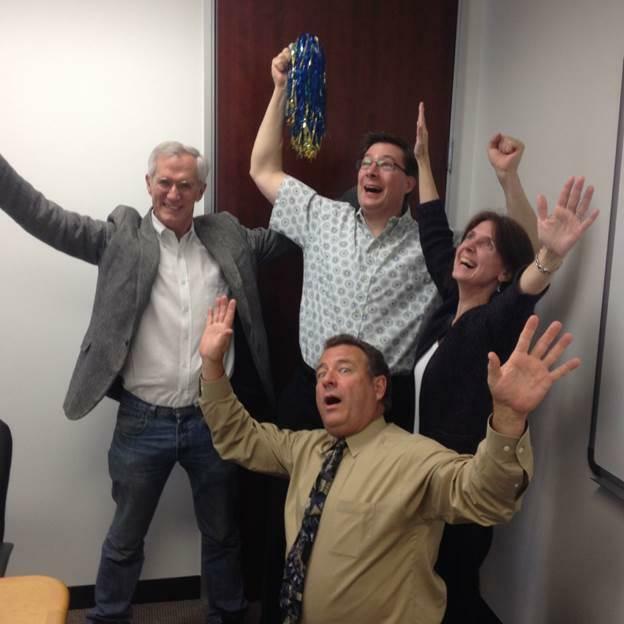 He passed and we were celebrating with the members of his Review Board. It was a once in a lifetime event." 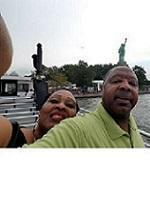 "My wife and I had a very nice time on our vacation in Niagara Falls. The property is in a central location, and was clean, quiet and offered a complimentary breakfast. The staff was courteous, helpful and the accommodations included a pool. We ate at the "Red Coach" and from a terrace table watched the city lights. After dinner we walked back to the falls and watched the illumination show. We enjoyed our three days in Niagara Falls, as the accommodations and attractions were excellent. Thank you for helping us organize our trip. " 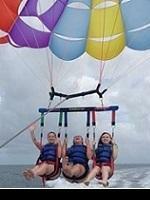 "My trip to Cancun was more fun and more eventful than I expected! From the moment that I booked my trip I felt very comfortable. The staff was very professional and gave me A+ service. We flew Delta and landed to an awaiting car service to take us to our Hotel, which was such a beautiful place. The entire trip, from the people to the places that we went exceeded all of my expectations. I didn't expect that things would go so smoothly. I would highly recommend this travel offer. An A++++ rating!" "Everything was beautiful, Thank you." 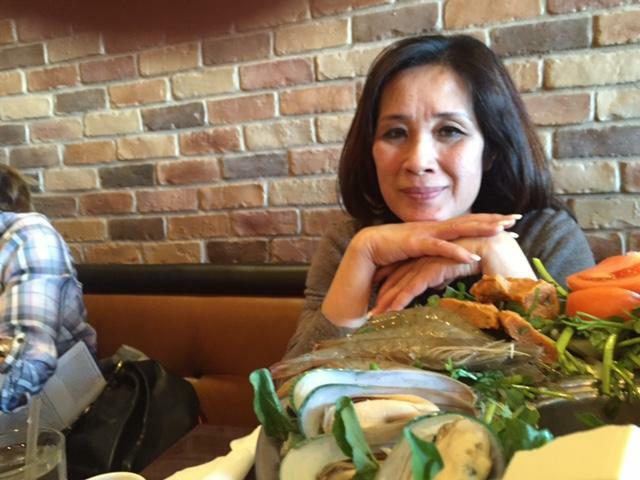 "I enjoyed my trip to Anaheim and the 2 night stay at the hotel. I received this promotional offer for donating my car. " 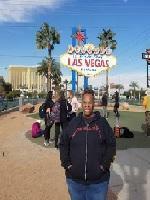 "My trip to Las Vegas, was fantastic. I got to visit several places: the Hoover Dam, Cactus Park, Chocolate Factory, plus other places of interest. The most rewarding was the reunion of my unit patriots that were in the Vietnam War. We got together then, and then together again for the "29th Reunion of the legendary 11th Armored Cavalry Regiment" at the Rio All Suites Hotel & Casino. Including a visit of the home base of the "11th Armored Cavalry Regiment" at Fort Irwin, California. 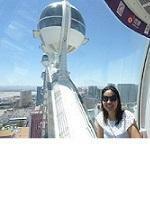 About the picture I am attaching, it was taking inside the capsule of the HIGH ROLLER." "We spent 2 nights in Branson, MO. Our room was clean and our beds comfortable. They took us on a tour of the property and the scenery was beautiful, the grounds were clean and well kept. The pool was wonderful...we definitely would go there again. " "My vacation was just a nice, quick trip to LA to visit family. 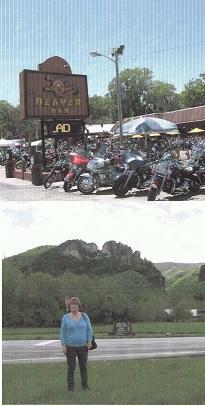 While we were there,we had to do some sight-seeing (of course), even if we were only there 3 days! 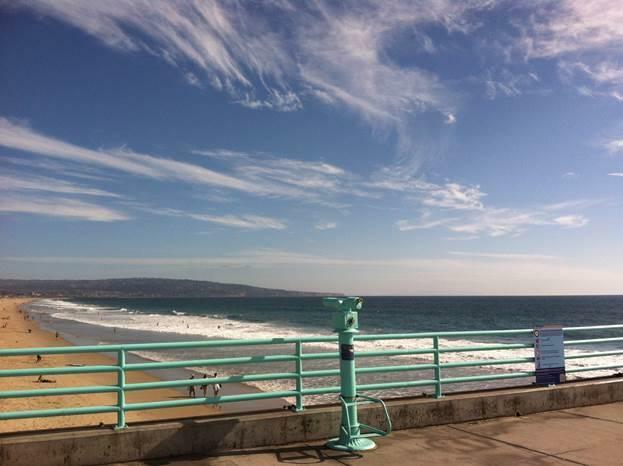 Our first evening we went to Manhattan Beach where this photo was taken from the pier! " 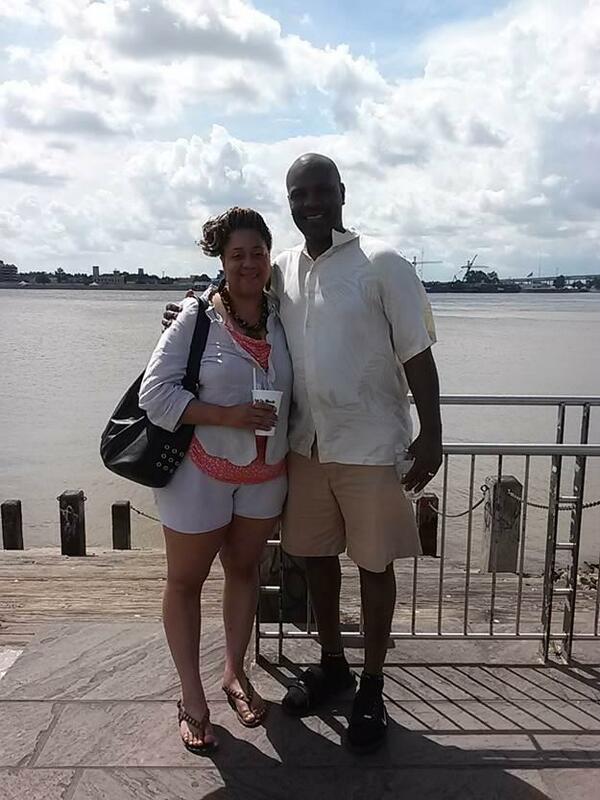 "Our vacation was great.... We had a tremendous time in New Orleans. Our hotel stay was wonderful. It was conveniently located across from the super dome, French quarters and public transportation. My wife and I haven't had this much fun in a long time. Even relaxing in our room was fun. This vacation was well worth the money!" 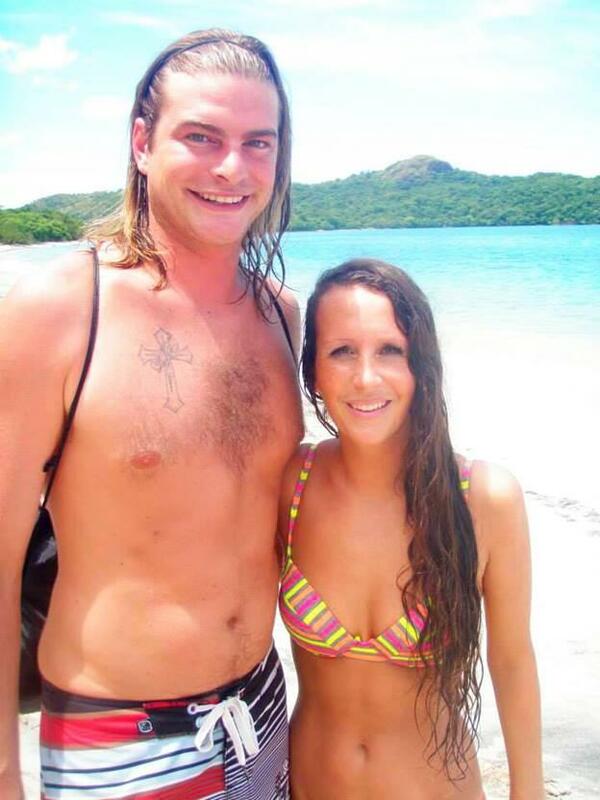 "We went to the Weston resort in Costa Rica last year for our honeymoon. It was AMAZING! Full of dirt bikes, zip lining, horseback riding, monkeys, volcano's/hot pools, and the most amazing resort you can imagine tucked in the beautiful jungles of Costa Rica. Wouldn't change a minute of it!! " 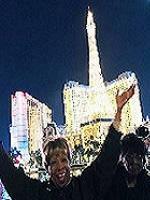 "This past June, my husband Shann and I were able to go to Las Vegas. A place we always wanted to see but weren't sure we could afford! We were able to stay on the strip, where all the big casinos are!! We flew in very early on the first day and left very late on our last day, so we felt like we had a lot of time there. We toured the gorgeous casinos, experienced Old Vegas on Freemont Street, ate amazing food and visited the Hoover Dam ( an engineering marvel!) Plus, we still got a chance to relax by the pool in the afternoon. Thanks for a fun and relaxing get-away!!" "Thoroughly enjoyed our Fun Rewards Travel to Kissimmee, Florida, with the surrounding area attractions and beaches. Hope to return again soon. " "I greatly enjoyed working with "Fun Rewards For You" and had a wonderful time on my vacation. I would recommend them to my friends and family. I hope to work with them in the future!" 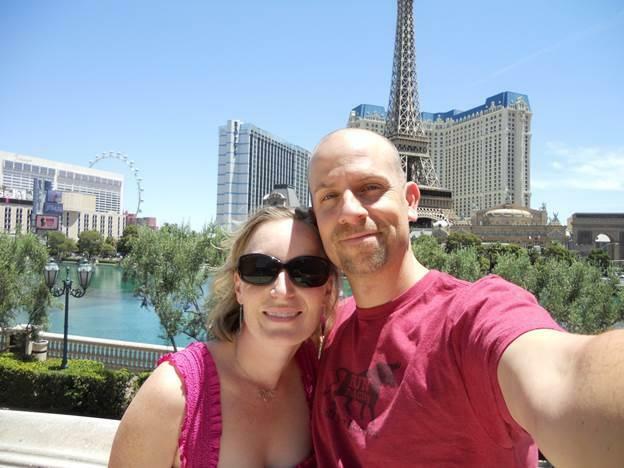 "Our stay at the property in Las Vegas was great! The rooms were clean and comfortable. We went up to the top and had drinks and viewed the city lights. We also saw a show in the hotel and played in the casino. Great Trip! " "Over all the stay was pleasant. Breakfast was good, the redemption center staff was happy and professional. Thank you for a great vacation. " "I enjoyed my stay at the property. The property and my room were very well decorated and modern. They had a nice fitness room, small restaurant, pool, and other nice amenities. I especially appreciated the large in-room safe, which fit my 17" laptop (something hard to find in other hotels). The property is also conveniently located near the airport, beach, and other spots. Thank you! " 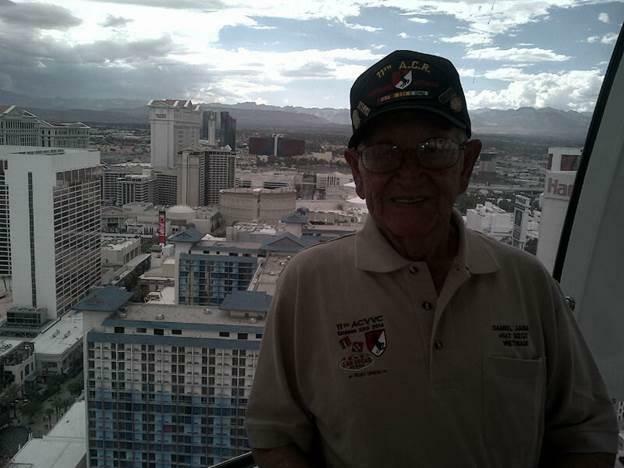 "I had never been to Las Vegas so when I turned 70, this was where we chose to go. Temperatures were in the 70s and it was a welcome change from cold and snowy Minnesota. We didn't do much gambling but enjoyed some shows, walked through several ornate and beautifully decorated hotels/casinos. All the lights on the strip at night were gorgeous. Thank you FunRewards for a great break from winter"
"My stay at the property was great, it was better than I expected. With this one, breakfast was included and exceeded expectations. " "Our trip to Las Vegas was full of fun thanks to fun-rewards. My husband and I enjoyed some days in this exciting city. Thank you so much. " 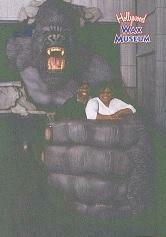 "My husband and I enjoyed our trip to Branson, MO. The check in/out process went smoothly. The staff was extremely helpful, friendly and courteous to our needs during our stay. The property accommodations were very pleasant, clean and comfortable. The shows we saw were fun, patriotic and family friendly. Each Restaurant was unique and fun. The Missouri foods served were delicious every where we went. This was our first time in Branson. We would definitely return. (especially if offered again a "4 Night Hotel Stay" certificate)." "Customer service was very friendly and professional. The property was new and we requested a handicap room on the top floor which they provided. We got our 1st choice and I really appreciated the prompt service. Thanks. " "We stayed at the property which was a great location! The accommodations were clean, cozy and comfortable. I would stay there again. " "We had a wonderful time. 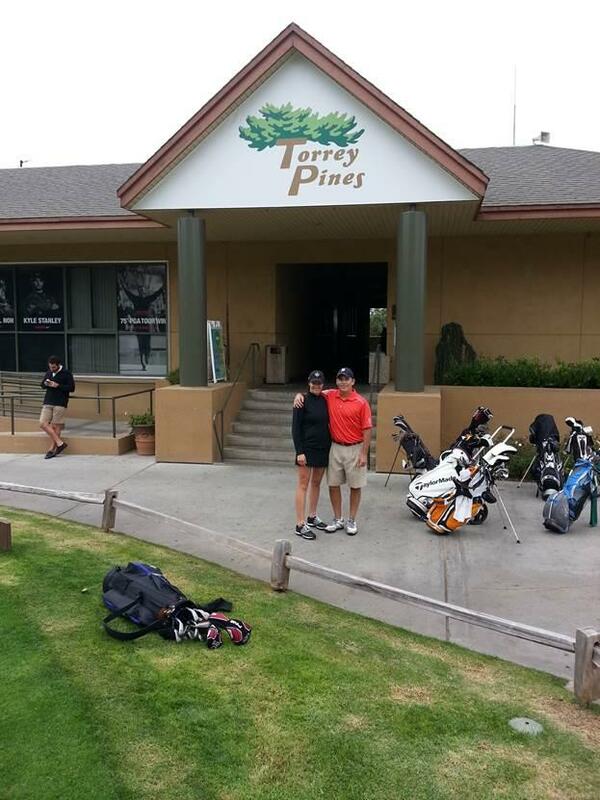 My husband and I went on a golf trip to California and played golf at some beautiful courses. We stayed at a great resort in the San Diego area and did a bunch of sightseeing while we were there. " 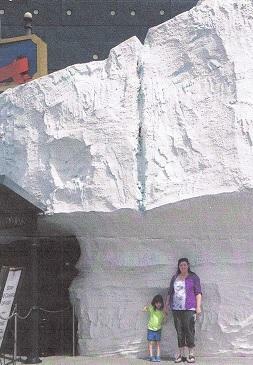 "We had a fabulous time traveling to and from Myrtle Beach...from town to Canada in May 2013. The weather was warm and the beaches are fabulous, to our surprise the water was in the low 70's, quite swim-able. The property we stated at was in the 5 star range with excellent atmosphere and service. It was about a 7 minute walk from the main street along the beaches and has a "carnival" type atmosphere. It happened to be "motorcycle week" in Myrtle Beach, lots of action and Harley noises! " 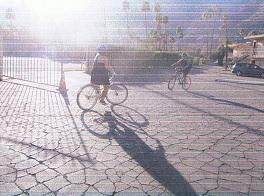 "We stayed in Palm Springs and the property was at a nice location. They also allowed pets and had bikes available for patrons which made it nice for family time. " "Thank you for my perfect two nights in Washington D.C. I was completely satisfied with the manner in which you handled this vacation for me at all stages. " "The hotel in Miami had everything we needed. It was a great hotel, clean and had a complete kitchen. The plane reservations worked out great. I would use your company again in a minute. " "Our vacation was great! We really enjoyed everything we did and all of our accommodations. Thank you for an amazing experience. " "We went to Hollywood and took in lots of sights. The Hollywood walk of fame, Stars homes and Warner Brothers to name a few. 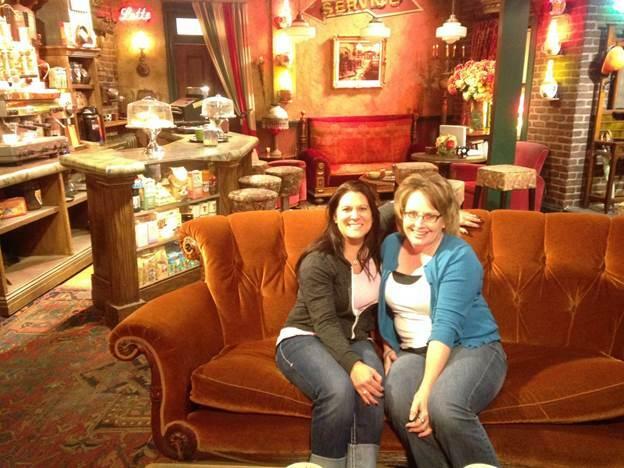 This pic was taken at Warner Brothers on the set of Friends. We had such a great time. Thanks so much. " 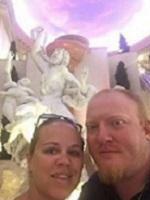 "We stayed at the Hard Rock Hotel in Las Vegas, NV. We didn't have to pay for any extras besides the resort fees and the hotel was amazing. We can wait to go back. " "We had a great time. Had rain one day, was cooler than we expected but still very pleasant to walk. 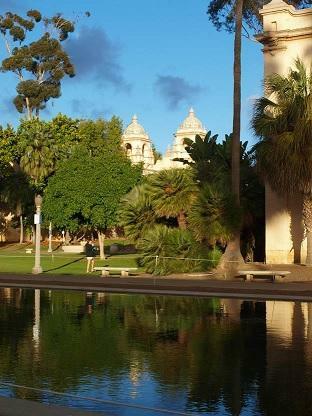 San Diego is beautiful, great food, shopping and sight-seeing. " "Wow, what an amazing cruise!!! This was our first time cruising but definitely not our last!!!" "Wonderful vacation. We enjoyed it all. And if you ask which was our favorite thing to do, we'd say all of it. 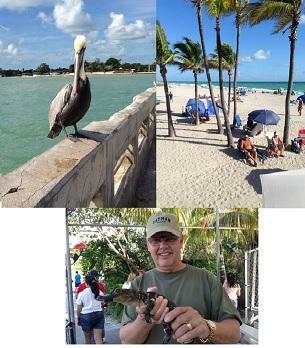 From the beautiful water & sunning on the white sanded beaches to enjoying the pelicans & anhingas in the beautiful National Everglade park to taking a fantastic airboat ride out in the everglades (FUN.) and I don't want to forget hanging with our friend, May, at the Monkey jungle. The alligator farm is a must see too where they have great airboat rides, views of multigenerational (from birth to old age) alligators & the most entertaining alligator show of man versus gator. " "We were pleasantly surprised at the location and amenities of the property. We truly enjoyed our stay and the personnel was very pleasant and helpful. " "We enjoyed our vacation to the Williamsburg area." "The property was nice and the staff was friendly. It was great working with FunRewards travel, they were courteous and professional. It was fun to visit Vegas over Halloween. Overall we enjoyed our visit and it was a great trip. " "I enjoyed the property and the staff was nice and helpful. The location was great and the accommodations were comfortable. I would stay there again. " 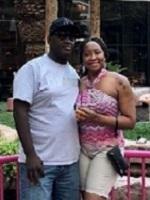 "We really enjoyed our stay at the property in Las Vegas, NV. The rooms were clean, the staff was friendly, there was so much to do and see. We wanted to visit Las Vegas for quite a while and so excited to finally have the chance to go. We rented a car to drive and see the Grand Canyon which was breath taking! We will definitely be going back to Vegas soon!" "The property was nice; when we arrived the staff was friendly and the rooms were clean. The buffet was great and the food was good. Over all we enjoyed our stay and would do it again. " "We decided to go somewhere we never been before. Our first choice was Branson, MO. and the views were breathtaking. We were able to relax, enjoy some shows and meet new people. The room was clean and comfortable. The privacy was great; we were alone every night to experience the pool and Jacuzzi. Wonderful!" 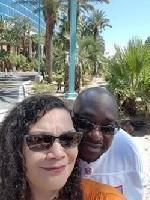 "We had a wonderful time at the property in Las Vegas. The staff was very friendly, the amenities and free shuttle were great. The bell hop service was professional and friendly. The kitchens in the rooms were really nice. We loved our stay! " "This is the first time we used FunRewardsForYou. We enjoyed our trip and hotel reservations. The service was easy to use and prompt. I would use another FunRrewardsForYou promotional offer again if I get another opportunity. "